Where Did My Usual Schedule Go? I am still waiting for a sedate weekend, or even a sedate day would suffice, as I seem to have to leave the house for one thing or another everyday. Wednesday I had to get up early as I had to pick up a rental car to get to my appointments that afternoon. My husband was on a course in Stratford-upon-Avon and had to take our car. Thursday we had nice weather and I was persuaded to hang out at the Hilton in Stratford-Upon-Avon for the morning and then enjoy sunny day by the river. Friday, I had to admit the CPAP was getting increasingly uncomfortable and was giving me a sore throat from the constant dry air via the face mask. 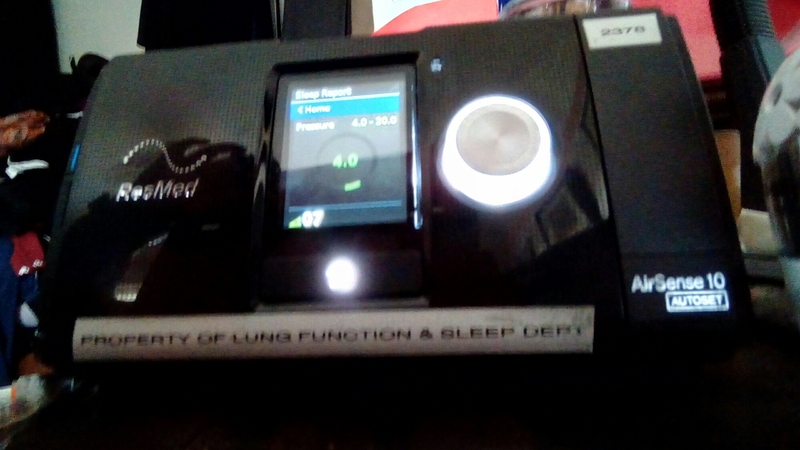 Rather than not complying with the therapy I rang the Sleep Clinic and requested a humidifier, which just slots onto the side of my current device and feels a lot more comfortable. If the weather remains fine tomorrow, I fear there will be more temptation and further disruptions to my reading and reviewing schedule. However, by Sunday evening thunderstorms will no doubt give me an opportunity to plough on with my reviewing. I suppose what I’m really trying to cope with is adapting to changes in my current circumstances. Nothing at all remains the same as it did six months ago and I’m not sure I am alright with the changes in me and my environment. I can only be optimistic and hope to bring you more great book suggestions. I have a CPAP Machine and have had to use one for some years now. My heart doctor discovered the huge irregularities in my breathing when I slept. I also have one with a humidifier. At first, I didn’t but I did the same as you have done. I called and the doctor sent me a prescription to get the humidifier attachment. It takes some getting used to but once you do, you’ll be okay. I even use it when I take my naps because I breathe better. I don’t know how big CPAP is but mine is a small lightweight portable that I can take with me because I travel a lot. I have a case with it and it is so easy to assemble and put away especially when I am on the road. The machine I currently have is small and portable. I find myself putting on the mask, turning on the machine trying to sleep, but not being able to. So I take the mask off and decide to read, barely five minutes into my book I feel drowsy, but when I put the mask back on I’m wide awake. I’m sleeping without waking once I do manage to sleep and I’m definitely less drowsy during the day, so it helps. I am not sure my oxygen saturation is any better but they download data in two weeks time to tell me if my sleeping is better. Rotten for you. Presumably the CPAP has a regulateable % of oxygen going through it? Is yours maybe too oxygen-rich? Although, having to put a mask on my face would make me pretty wakeful too! At least it is having a benefit during the day: good news. If there is no time to enjoy a sunny day by the river, then something is wrong with your life schedule! I have found in recent years that I spend all my days, inside, working or finding displacement activities. I think in my case it was because going into my own garden became an increasingly depressing experience, as there was 300 feet of it and it was gradually returning to a wilderness state. And, if you can believe it, in all 300 feet there was nowhere to put up a table and lounger and *relax*. That garden was just all work – it took me an entire afternoon just to mow the bally thing, towards the end. So now I have moved to the seaside. And have a weeeeeny garden. And I intend to enjoy both. And reshape my schedules to enable that. I wanted to reschedule my life. Perhaps you might need to? No oxygen through the CPAP yet, Judi, but I suspect that will be the next phase when I see the respiratory physician in June. It’s the tight vacuum seal of the mask that is quite disconcerting at times. I know I shouldn’t be afraid of enjoying myself or relaxing but I fear such moments of bliss will e followed by more difficult times. I think the weather is having a very positive effect on me and I will try harder to find enjoyment without the guilt. I share your experience about the garden, its way too large for me to tackle myself and my husband never quite has the time.